Treating a cavity, an area of decay in a tooth, is a routine part of dental care. First, a dentist cleans out the part of the tooth that's affected, leaving a hole or empty space. Then he'll fill that space to even out the surface of the tooth so that it "feels" right in the mouth and is protected from further decay. There are five types of materials commonly used to fill in the space where a cavity has been removed. If you ever need a filling, here's some helpful information about the different types. You may not always have a choice in the type of filling you need, but if you do, it's helpful to know the pros and cons of each. This is the most widely known type of filling. Silver amalgam isn't just silver—it's a mixture of minerals that's 50 percent silver, tin, zinc, and copper, and 50 percent mercury. It's a popular choice for fillings among dentists because it's strong, durable, and doesn't cost a lot. The typical silver amalgam filling can last 15 years or more. Silver amalgam also is pretty easy for a dentist to fit into a cavity and there are no concerns that it might become contaminated by blood or saliva. Silver amalgam has disadvantages though. It's not aesthetically pleasing, so it isn't a good choice in a tooth that's highly visible. The material also can expand and contract over time, causing a tooth to crack. These fluctuations also can create spaces between the filling and the tooth that food and bacteria can become trapped in, allowing new cavities to form. 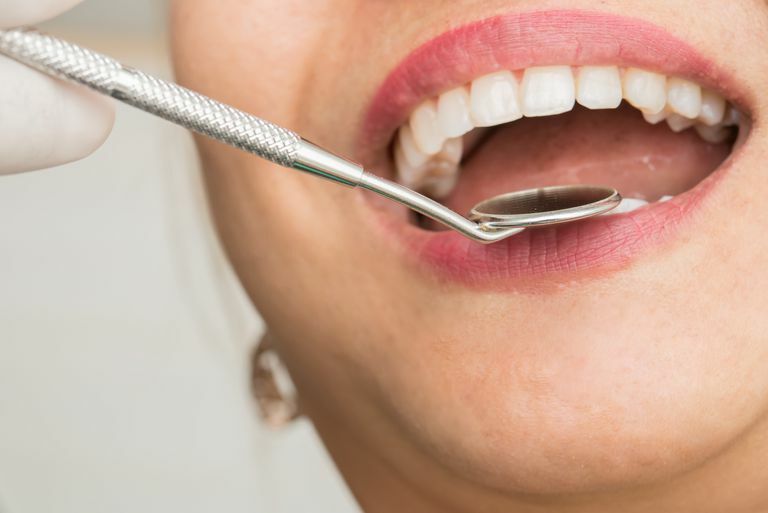 The mercury in silver amalgam is controversial, but according to the American Dental Academy and U.S. Food and Drug Administration, studies have shown that silver amalgam fillings are safe. Composite fillings are made of a resin and plastic material that is placed into the cavity while it's soft, then hardened with bright blue "curing" light. It's a popular choice because it can be matched in color to the shade of a person's existing teeth, so it's not as obvious as a silver amalgam filling. At the same time, though, composite fillings don't last as long as some other types. They typically need to be replaced every five years or so and they're pricier than silver. These are made of porcelain and are both durable and aesthetically attractive. Ceramic fillings are more expensive than other types, but they're tooth-colored and more resistant to staining and abrasion than composite resin. The disadvantage of using ceramic instead of a composite is that it's more brittle and so needs to be larger to prevent it from breaking. This means the area in the tooth must be made larger so there's room for the extra bulk. These ceramic restorations are typically referred to as inlays or onlays. These glass-and-acrylic fillings are good for children whose teeth are still changing. They last less than five years but release ​fluoride, which can help protect a tooth from further decay. However, they're significantly weaker than composite resin and more likely to crack or wear out. Traditional glass ionomer does not match tooth color as precisely as composite resin. It won't surprise you to learn that gold fillings are expensive and not very common. In fact, it can be difficult to find a dentist who'll offer gold as an option. What's more, it takes more than one office visit to fit a gold filling properly. However, gold is sturdy, it doesn't corrode, and a gold filling can last for more than 15 years. American Dental Association. "Statement on Dental Amalgam." Aug 2009. Do You Have the Symptoms of a Canker Sore? Are Antibiotics Needed for Dental Work After a Joint Replacement?